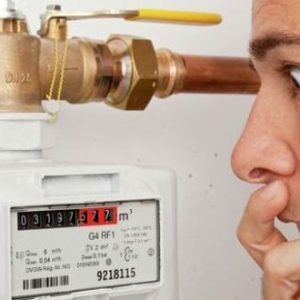 BelarusDigest > All > Are Housing Utilities about to Become Market-Based? At the end of July the Minister of Transport Anatol Sivak reported to Lukashenka on important road projects in Belarus, including a second ring road around Minsk and a road toll system. Belarusian roads have became a brand in post-Soviet countries and even the EU because of their high quality. Yet the road service remains poor despite attempts by the government to develop it. Due to confusing rules on toll roads problems have led to outrage among both transportation companies and foreign visitors. While the roads provide some economic benefits, due to the heavy road traffic they bring environmental problems, particularly in Minsk. The authorities launched the construction of a second ring road to keep lorry traffic away from central Minsk. However, this project will not help to resolve the high number of cars in Minsk. This is in part due to Minsk's enormous role in the Belarusian economy. The Best Roads in the Region? According to a Gallup poll of 2012, 52% of Belarusian respondents showed satisfaction with the quality of their country's roads. This was also the highest rate in the region including Belarus's EU neighbours, Poland and Lithuania. Belarusian roads have become a Belarusian brand in Russia and other post-Soviet countries along with Belarusian food and cleanliness. Even the former Head of the EU delegation to Belarus​, Maira Mora praised the quality of Belarusian roads in an interview with a Belarusian TV channel. Lorry drivers say Belarusian roads are better than in Poland and Lithuania, and, moreover, they are safer. “You can stay there alone at night, while in some EU countries you risk los​ing your fuel and even tyres while you sleep”, they say. However, most drivers also note that the quality of services on the roads remain poor. Parking places, motels, cafes, showers and toilets are concentrated near large cities and major highways, while in the regions one can travel upto 100 km before reaching any service. In 2008 Lukashenka issued a decree to support road service development through tax incentives and other measures. Despite this, Belarusian businessmen keep complaining that the government hardly provides any real help and the business of modernisation involves too much red tape. But Belarusians also seem to lack the understanding of how to make money on the road. In neighbouring Poland every village near the road offers a bed for the night and lunch, while in Belarus this easy enterprise remains very rare, and there is not a clear reason for this. Another problem foreigners have faced when driving through Belarus in recent years has come from Belarusian toll system. 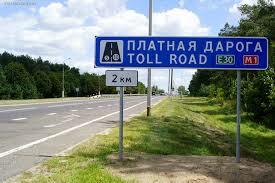 Belarus currently has around 1,200 km of toll roads and the government plans to reach 2,000 km by 2020. In July 2013, the government introduced an electronic system called BelToll for charging road tolls, which replaced the older system of manual collection. In Belarus the toll is charged for cars registered outside the Customs Union and cars weighing over 3,5 tonnes. A driver needs to buy and instal an on-board unit on his windshield. When a vehicle passes underneath the special terminals mounted over the toll roads, the system automatically withdraws money from the driver’s user account, so one does not need to stop anywhere to pay the toll. The convenience of the system, however, has proved to be far from promising. A few months after the introduction of BelToll, it caused outrage among car owners and especially lorry companies. Around 5,000 car owners and firms in Belarus discovered that they have dozens of fines already, some reaching €80,000 in total. Moreover, Belarus​'s transport inspection can withdraw money from bank accounts without the owners' permission. Although the authorities claim they carr​ied out a vast information campaign in neighbouring countries, and set the toll in Belarus at the cheapest rates, numerous foreign drivers wrote angry reports about the Belarusian tolling system. Actually, one cannot find much information about the system on entering Belarus, let alone any foreign language guide on it. Buying an onboard unit turns into a quest, as the operating company only has a few selling places throughout the country. Interestingly, this August a presidential decree removed the toll payment from cars registered in the Ukrainian separatist regions of Luhansk and Donetsk. Thousands of Ukraine citizens fled to Belarus as the conflict in eastern Ukraine was unfolding, and the Belarusian authorities have decided to support them in such a way. Despite the poor quality of the road service, Belarus remains a major transit country at a European crossroads, and experiences a growing impact of traffic on its environment. The project of the second ring road around Minsk has been launched to mitigate its negative consequences. The construction of the first 56-kilometre ring road encircling Minsk started in 1956. Since that time it has transformed from two to a six-lane road in 2002 with a current daily traffic of 90,000 cars and 120,000 at peak hours. Today, it is overloaded with traffic, which heavily damages the city’s environment. So the authorities decided to build a second ring road in 2010. According to Ministry of Transport officials, it will let all freight transport coming from EU and Kaliningrad pass through to Russia without entering Minsk. The road will stretch 158 km, including the 73 km of existing roads and 85 km of a new one. Initially the authorities planned it as an asphalt road, but apparently they decided to employ the vast reserves of concrete which Belarusian producers failed to sell abroad. They, however, mention another reason. Concrete roads will serve longer than asphalt. Despite its importance, the project has not not proceeded smoothly. In 2012 construction froze because of a shortage of funds, and resumed only in 2014. The road is financed largely from a loan from the Belarusian Development Bank, an institution which finances government projects, and national budget. While the second ring road may reduce international freight traffic near Minsk, it will hardly impact private vehicles coming from other Belarusian regions. Minsk attracts economic migration from the whole country, so the reason for overloaded traffic goes deeper than another ring road. The government should address a complex of issues like economic development of other regions and Minsk's suburbs to reduce the inflow of cars heading for Minsk.